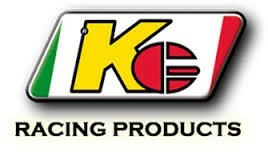 PLESE NOTE: you will need for the New KG 506 plastic side pods the matching chrome side pod bars marked with 003-BS-54 to be legal for Motorsport UK & CIK racing. KG BURU FRONT PANEL Black. Direct replacment for the NA2 Front Panel. KG Duo / Evo & Model 506 Chrome Steel Side Pod Bar. Dual Marked: CIK-FIA 25/CA/11-02/02/ET & 003-BS-54. Fits Engine Right Hand Side of the Kart. KG Duo / Evo & Model 506 Chrome Steel Side Pod Bar. Dual Marked: CIK-FIA 25/CA/11-02/02/ET & 003-BS-54. Fits Brake Left Hand Side of the Kart.